The LG Incite and LG Dare are two touch screen mobile phones. Though LG has put out a few touch screen phones, they were just that, standard mobile phones that have been set to work with a touch screen. 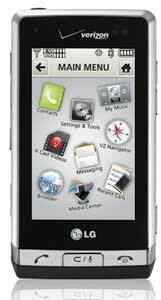 LG Dare was among these touch screen standard mobile phones. The Incite is the very first attempt of LG at the smartphone market. Instead of running on the same system that other LG phones are using, the Incite runs on Windows mobile 6.1 which is what most of the other smartphones from other manufacturers are also using. In short, the Incite can run the programs available to WM6.1 while the Dare is not capable of taking advantage of the same wide selection of applications. Aside from being a smartphone, the Incite also differs from the Dare with respect to the networks that they support. They both do support 2G and 3G technologies but on different underlying technologies. The Incite works with GSM and UMTS networks and is even equipped to work with HSDPA allowing for much faster data speeds. The Dare was built for use with the CDMA network and EV-DO which is the 3G technology being used by companies who have CDMA networks. These two networks do cannot work with each other and both phones are restricted to their respective networks. But the Incite has the advantage here since GSM and UMTS are the technologies that the majority of the world are using. In other features, the Incite has Wi-Fi connectivity just like with almost any other smartphone. This is used for high speed data access when available. Standard mobile phones rarely have this feature, and the Dare is no exception. The Incite is also equipped with an FM radio that you can use with the supplied headset. This is also missing in the Dare. Comparing these two is a mismatch considering that one is a smartphone while the other is not. If you simply want a touch screen phone without the complexity of a smartphone, then the Dare is a good option for you. Ben Joan. "Difference Between LG Incite and LG Dare." DifferenceBetween.net. February 20, 2011 < http://www.differencebetween.net/object/difference-between-lg-incite-and-lg-dare/ >.